Pete North Politics Blog: Why are they owed civility? It's the same old story. You know it well. I'm so tewwibly wude - but if I wasn't then MPs would drop what they were doing and adopt my opinions wholesale. Just like that. Tedious. It's actually well over a year since Nick Boles first mooted EEA Efta as a transitory device. This blog pointed but to him at the time that it was not at all practical because of the complexity involved. Typically I was talking to myself and was wasting my breath. A year later he resurrects this zombie idea which has evolved into "Norway then Canada". Now padded out with a few extra baubles it still stands as a completely unworkable idea. The central misapprehension is that the EEA agreement is a plug and play device that is immediately operable with just a few splashes of Tippex. It does not, though, take into account that fisheries and agriculture are not covered by the EEA along with a number of other peripheral issues that would at the very least require a complex bridging agreement along with a chapter on customs. These are contentious issues, fisheries especially, what with it being an emotive subject and a totem of eurosceptic ire. There are also no off the shelf options to bridge this gap. 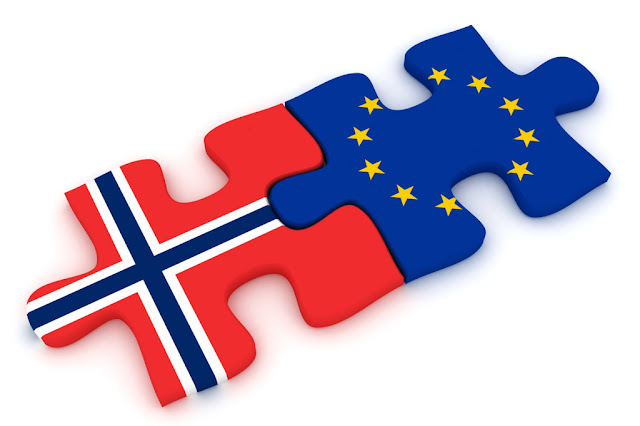 We'd be looking at a combination of solutions deployed by both Norway and Switzerland but would have to be engineered to take into account the circumstances of the UK as a departing member. In some places it will require a re-write of the rules just to make them workable. That is going to take some years to finalise and deploy. This is viable long term but not as a transitory measure. Here there is no point in doing this for a transitory arrangement not least because they cannot be rolled over into any future FTA because they fall outside the scope of FTAs. If that is the approach we are taking it would pretty much mean a vassal state transition essentially remaining in the CAP and CFP - which defeats the stated purpose of "Norway then Canada" - mooted as an alternative to the present vassal state transition. 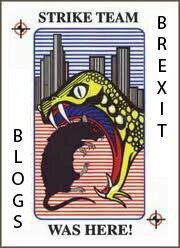 We are then looking at a Frankenstein EEA developed for the sole benefit of the UK which we then throw in the bin. Not going to happen. We could spend some time questioning the further logic of this proposal but I am told the logic does not matter since this is a clever ploy to trick ERG types into accepting EEA - so this idea doesn't actually need to work. Ignoramuses such as I just don't understand the politics, apparently. How convenient. Course, this scheme is so full of holes it has already been pecked apart but in such a way that it actually damages the EEA case, possibly irreparably, with Steve Baker, Tom Newton Dunn and the FT editor keen to capitalise on it. So as a political ploy it has already failed. Anyone who has taken the time to ascertain whether such a plan is deliverable can already see that it isn't. It's not like this is a new debate. It has matured over four years and there is a pool of knowledge on Twitter that far exceeds that of Nick Boles. But, in that time honoured tradition of being a North, it is tewwibly wude of me to point out that this obviously flawed scheme does not work - and it's actually my fault that Nick Boles is talking crap because if I spoke with deference to my betters they would drop everything and listen. I'm getting that same old shtick that pig ignorant arrogant Tories would be more receptive to the ideas of others if only I were to grovel before them and tell them how brilliant they are. Boles can just airily waft in and deposit his views and we are all to pretend that it's a step in the right direction. So long as I don't criticise it then nobody else will! This logic escapes me. That we should not now criticise him is akin to someone asking us not to condemn a drunken driver who has just mown down some innocent pedestrians, just because he means well and didn't intend to do any harm. Boles has had more than a year to advance his understanding of the issues moving on from the publicly stated position of being far too bored by it all. He could very well have consulted any number of informed voices to firm up his arguments but Tories, typically, already think they know it all. Here I think I am somewhat entitled to feel put out by this in that a number of of EEA advocates have put the work in, developing the arguments, and now we have a Nick Boles ploughing in like a bull in a china shop shitting all over something he does not understand and regressing the debate at a crucial time. You will, therefore, forgive me if I am less subtle in my criticism of this idiot.